The Swedish pianist Roland Pöntinen was born in 1963 and made his debut, aged seventeen, with the Royal Stockholm Philharmonic. Since then he has performed with the major orchestras in Scandinavia, Germany, France, Spain, Italy, Greece, Holland, Belgium, Great Britain, Ireland, Russia, USA, Japan, Korea, Australia and New Zealand. Highlights include concerts with the Los Angeles Philharmonic in Hollywood Bowl, playing the Ligeti Piano Concerto at the London Proms, performances with the Philharmonia Orchestra in Paris (Chatelet) and London (Royal Festival Hall). Roland Pöntinen and violinist Ulf Wallin gave the world premiere in spring 2006 of the Anders Eliasson’s Double Concerto, which was written for them and commissioned by the Finnish Radio Orchestra. He and fellow Swede Love Derwinger also enjoy success performing the double piano concerto repertoire. 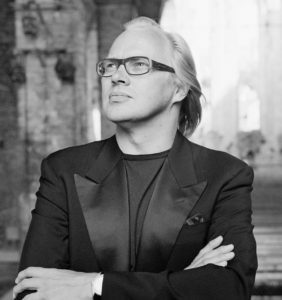 He has co-operated with, amongst others, Marin Alsop, Neeme Jarvi, Paavo Jarvi, Myung-Whun Chung, Peter Eötvös, Evgeny Svetlanov, Rafael Fruhbeck de Burgos, Esa-Pekka Salonen, Jukka-Pekka Saraste, John Størgards, Franz Welser-Möst, David Zinman, Sergiu Comissiona, Leif Segerstam, Okko Kamu, Janos Fürst, Sixten Ehrling, Jacques Mercier and Mikhail Agrest. Although a great virtuoso with a concerto repertoire ranging from the classics to unusual and demanding works like the Barber, Ligeti and Scriabin concerti, Mr Pöntinen devotes a great deal of attention to the recital repertoire and is also a very keen chamber music player. He has participated in a number of festivals such as Berlin Festival, Schleswig-Holstein Festival, Edinburgh Festival, La Roque d’Antheron Festival, Maggio Musicale Fiorentino, Oviedo Piano Festival, Kuhmo Chamber Music Festival, Salzburg Festival, Piano Rarities in Schloss vor Husum and Styriarte in Graz. His last tour of Australia also included a recital and master class. In the summer of 2007 he performed at both the Ruhr Klavier Festival, Germany (this performance was televised) and in Verbier, Switzerland. Roland Pöntinen has made over 70 recordings on the labels BIS, Philips, Arte Nova and c p o as well as his own Haddock label. He is also an active composer and his work Blue Winter was performed in the Carnegie Hall in New York by the Philadelphia Orchestra and Wolfgang Sawallisch. Recent releases include Pianorama -cinematic music (BIS) and Rachmaninov Etudes and Tableaux on Pan Classics, as well as many discs of Chamber repertoire. In the UK Roland Pöntinen has performed at the Wigmore Hall many times, most recently with Martin Fröst the clarinettist . He has given two solo recitals for the BBC with a third planned, as well as master classes. He has played works by Rachmaninov with the London Philharmonic Orchestra and Marin Alsop, performed on several occasions with the Scottish Chamber and Bournemouth Symphony Orchestras, as well as playing at the Proms (works by bothGrieg and Ligeti). In September 2007 he made a successful debut with the Orchestra of Opera North and Jacek Kaspszyk playing the Grieg Concerto. 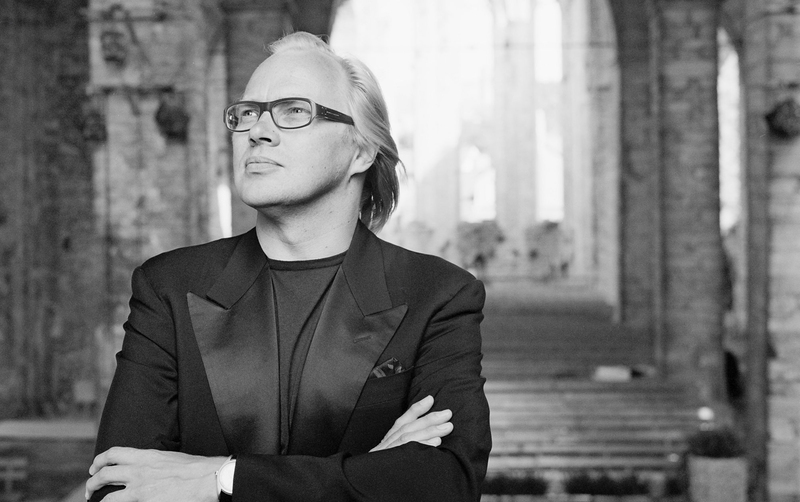 Roland Pöntinen is a member of the Swedish Royal Academy of Music and has recently received the Royal Gold Medal “Litteris et artibus” for achievements in the artistic field.